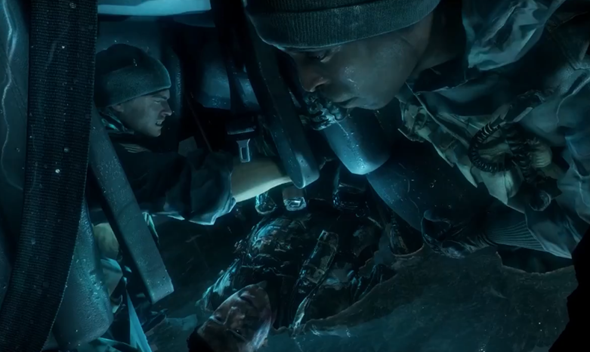 Last Summer, Electronic Arts announced Battlefield 4, and with the special event for the title having just been held, the company has released an incredible 17 minutes of in-game footage. It features plenty of combat, a preview of some of the weaponry, and stunning visuals offering a timely reminder of why gaming fans are looking forward to the next installment of the legendary first-person shooter franchise. The title is set to release this fall for PC, Xbox 360, PlayStation 3 and PlayStation 4, and running on the Frostbite 3 engine, will evidently deliver a cutting-edge gaming experience. More details and video after the jump. News of Battlefield 4 was inadvertently leaked when it was revealed last July that those pre-ordering Medal of Honor: Warfighter would, in turn, be treated to early access to the Battlefield 4 beta. Any fan of these war-themed FPS series will have been anxious for either to make their way to market, but with the latest MoH having been panned by critics and proven to be something of a disappointment, many are pinning their hopes on Battlefield 4 turning things around. The YouTube clip, even running at 1080p, clearly doesn’t adequately do justice to the engine, which EA describes as a “new standard” for the gaming world in 2013. With gamers having gotten themselves in something of a tizzy over games powered by Frostbite 2, Battlefield 4 is already ahead of the times, and the expected Fall release cannot, it would seem, come soon enough. As aforementioned, the PlayStation 3 and 4, Windows, and Xbox 360 will all be treated to this heavily-lauded title, but we will have to presume – despite the lack of an official announcement from Microsoft – that the next-gen Xbox will also be an option for Battlefield 4 fans.